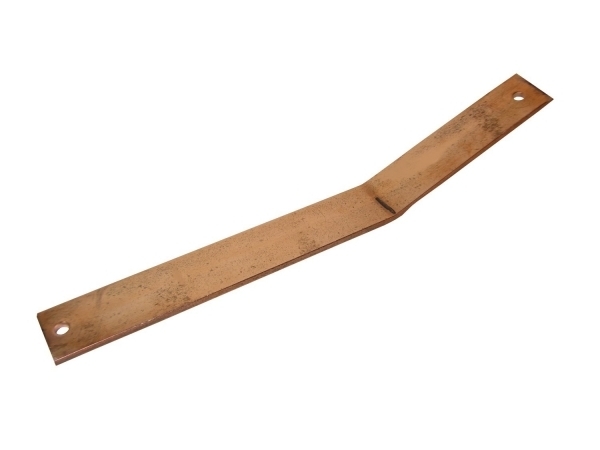 This K Style Highback Bus Bar Hanger is used for mounting K style copper gutters. Whether mounting to the fascia board or suspending the gutters from the roof deck, we have the hangers for any of your applications. Bus bar hangers are nut and bolted to the front lip of the gutter and the back flange is nailed with copper nails. Gutter Hangers are available in both 1” x 3/32” and 1” x 1/8” bar stock.